The Kineticist believes in better living through movement, and exists to inspire folks to find physical expression in their daily lives. 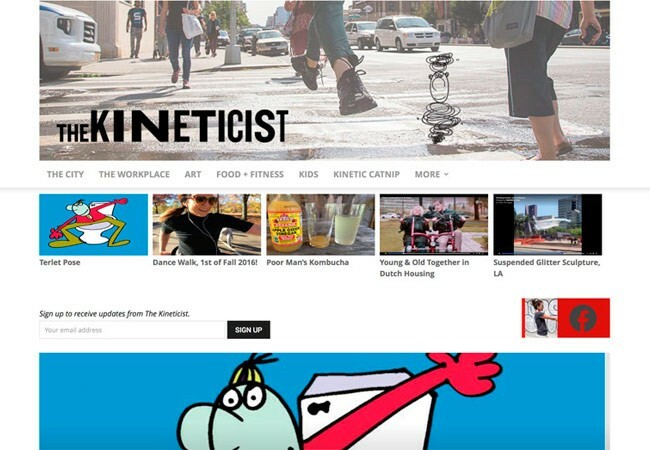 The Kineticist brings you a wide range of kinetic ideas from around the globe. Here you’ll find a treasure trove of physical expression in many forms and contexts. Services performed on this site include: customization of the Newspaper WordPress theme based on Zvezdana Stojmirovic’s design. Addition of functionality including automatic link previews and user generated gallery.